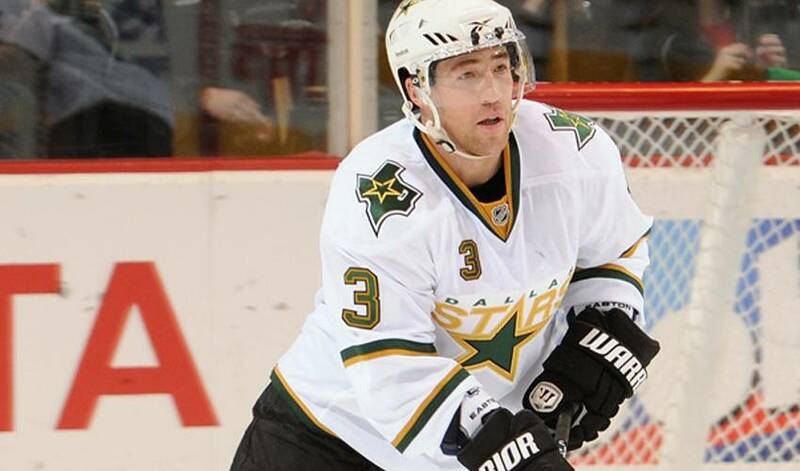 Stephane Robidas started out his NHL career with modest expectations. But now, nearly 750 regular season games later, the veteran defenceman has somewhat loftier goals. He still has vivid recollections of his first big-league game, some 13 years ago, during his time as a member of the Montreal Canadiens. Montreal's opponent was a star-stacked Colorado Avalanche. Robidas, who stands 5'10”, was partnered with 5'8” blueliner Francois Boullion. Robidas, at least at that point in time, wasn't thinking about what the future held, in terms of the longevity of his career. Robidas worked overtime to extend his NHL life. In August of 2004, following the lockout, the Stars signed the free agent to a two-year contract. Two and a half years later, in late 2006, Robidas signed a three-year, $4.5 million contract extension with the club. In the 2008 playoffs against the Anaheim Ducks in Game 5, Robidas took a clearing shot off the face. He required stitches, but came back, wearing a full face-mask. In the next game in Dallas, he scored the game-tying tally before setting up Stu Barnes for the series-clinching goal. Robidas, who was selected to play in the 57th NHL All-Star Game in Montreal in 2009, has been an integral part of the Dallas blueline, providing steady play at both ends of the ice as one of the team's alternate captains. It's also a group that will be eager to erase last year's disappointing campaign. Bursting out of the gates in 2010-11, the Stars were a force in the first half of the season, sitting atop the Pacific Division maintaining a top-three spot in the Western Conference, while sporting a 30-15-6 record. After the All-Star Game, however, Dallas went through rough patches, yet were still in the playoff picture. In spite of sputtering down the stretch, the Stars still had an opportunity to make the playoffs if they won all their games in April. They managed to do so, except for their last game, losing 5-3 to the Minnesota Wild and missing out on post-season play. Robidas is hoping he can play his part in making a return to the playoffs a reality. And so are his teammates, even if Robidas does endure the odd dig over his accent. “They know I'm not from Texas, that's for sure,” he laughed. A 724-game career that has lasted longer than Robidas ever envisioned.